Braces are the most common form of orthodontic treatment. Dr. Barry Glaser and the team at Glaser Orthodontics offer different types of braces near Yorktown Heights for our patients to choose from. Luckily, traditional metal braces aren’t the only option to choose from, anymore! Clear/ceramic braces which are made from a ceramic material. The pieces are larger and more brittle requiring more oral hygiene care than other options. Lingual braces are hidden behind your teeth. They are customized to fit the shape of your teeth perfectly. Since they are behind the shape of your teeth they are difficult to see from the casual observer. Self-ligating braces are made from the same material as traditional metal, but don’t require the use of rubber-bands and wires. Instead they use a specialized clip that holds your teeth in place. Invisalign are a set of clear aligners that are clear, comfortable and removable. They are made from plastic trays and are customized to mold to the shape of your smile. Most people decide to pursue braces near Yorktown Heights because they have crooked teeth or a misaligned bite. Dr. Glaser and the team at Glaser Orthodontics know that beautiful teeth can have a profound impact on a person’s confidence. 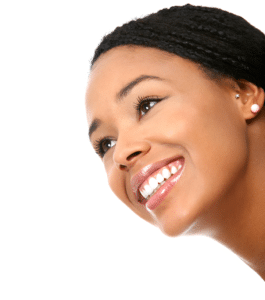 Be sure to contact us, today, to begin the journey to your most beautiful smile! Dr. Barry Glaser and the team at Glaser Orthodontics are the experts in braces near Yorktown Heights. If you have any questions pertaining to braces, clear braces, Invisalign, or Invisalign Teen in Yorktown Heights NY, Cortlandt Manor, NY, Cold Spring, NY, Croton-on-Hudson, NY, Westchester County, NY or the 10598 area, or would like to schedule a complimentary consultation with Dr. Barry Glaser, contact Glaser Orthodontics at: 914-739-6400.